After months of throwing potshots, the city government finally settled the issue with local Filipino-Chinese magnate Alfredo T. Bonpin on the controversial two-hectare property at the City Boulevard. 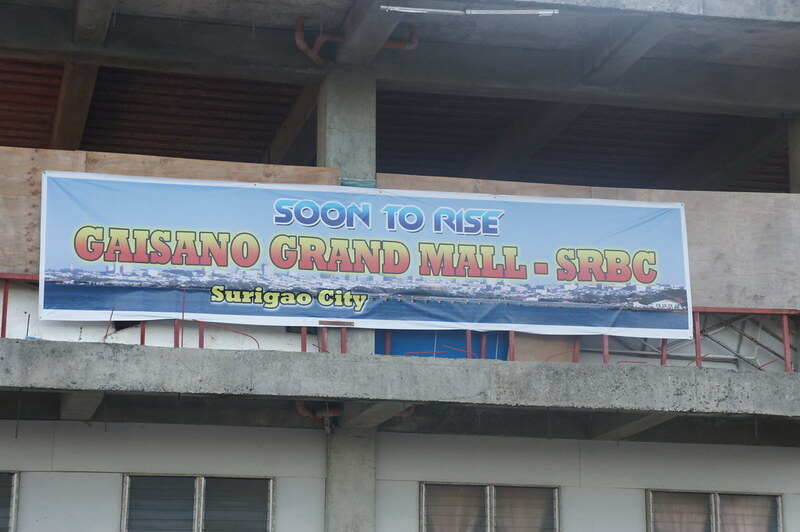 Bonpin, chairperson of the Surigao Realty Development Corporation (SRDC), the realty arm of the Surigaonon Rural Banking Corporation (SRBC), can now start construction of the mall and commercial complex that was expected to rise since 2007. Last April, Bonpin, through lawyer Noel C. Pangilinan, filed an opposition to the construction of the Basic Emergency and Maternal Neonatal Care (BEMONC) and demanded that the city government “cease and desist” from constructing the said facility because it is still a property of the bank. development of the property and even sought for the speedy approval of the building plans SRDC submitted to the City Engineer’s Office so that building of the commercial complex can proceed immediately. It can be recalled that last April, Gaisano mall giant started groundbreaking for the construction of a two-story mall in the city. Several other large investments also sprouted, including the Davao Warehouse, Citi Hardware, canned tuna factory and other big ticket investments. Unconfirmed sources say Bonpin will revive his own “super mall” with another Gaisano magnate in the controversial property. In the joint committee report of the city council’s Committee on Trade, Business, Industry and Economic Enterprise, a Cebu City based corporation identified as Taipan Development, Inc. is interested to develop the same property. But the same report, signed and approved last August 8, rejected the company’s proposal and validated instead the contract between the city government and Bonpin. In the report, SRDC is ordered to commence construction “immediately” of the commercial complex. Bonpin could not be reached for comment on the new content of the lease contract which practically doubled the terms of payment it is obliged to pay the city government. MindaNews went to the office of Bonpin but failed to interview him because he is reportedly outside of the country. To wit, SRDC shall pay the city government its back rentals; P1 million as advance rental payment; an annual rental fee of P400,000 or an increase of 200 percent from the earlier stipulated P200,000 annual rental fee; the cost of the commercial building has been doubled to P120 million; the construction phase is fixed at 18 months and “to commence immediately; and the recognition and acceptance of the birthing facility. The city council noted that the new contract is “highly advantageous to the city”.